The African Criminal Court: An African Solution for African Problems? At the African Union (AU) Summit meeting in July, the African Heads of State are expected to finalize and adopt the creation of the African Criminal Court. The creation of such a regional criminal court is unprecedented and may come into conflict with the existing International Criminal Court (ICC), but the question is: is an African owned justice process, outside the hand of “western” influences, what is needed to foster security and peace on the Continent? The African Court of Justice and Human Rights (aka the African Criminal Court) will be the result of the merger of two existing AU legal structures—the African Court on Human and People’s Rights and the Court of Justice of the African Union—and will have three sections: general affairs, human rights, and international criminal law. The jurisdiction envisioned for the court will include the categories already covered under the Rome Statute of the ICC – genocide, crimes against humanity, and war crime – but will also include crimes of particular relevance to African, including piracy, terrorism, mercenary activity, corruption, money-laundering, human/narcotic trafficking, and illegal exploitation of resources. This comprehensive list of indictable crimes aims to combat some of African’s biggest problems through criminal justice, in hopes that this will subsequently promote regional peace and security. While its adoption is anticipated at the July AU Summit, the new court will not enter into force until it is ratified by 15 member states. The African Union has been very vocal regarding its feelings of contempt for the present system of international criminal justice. Since, to date, the ICC has only taken on African cases, there is a general feeling that the Court biased, determined only to seek out and prosecute African violators of international criminal law. It is important to note, however, that out of the 18 cases the ICC is currently handling, 12 were referred to the ICC by the respective countries and only 6 were the result of a UN Security Council directive. While the President of the ICC maintains that is ICC is not a political entity and acts impartially within the strict legal framework provided for by the Rome Statute, the fact that the only Security Council directives have been for African fugitives while other violators in international criminal law have thus far escaped indictment, questions the degree of independence by which the ICC operates. It is in this context that the African Union has sought to create their own system to bring about African justice by and African hand. One of the biggest problems with the ICC and its indictments in Africa is that it does not take into consideration the context in which their indictments have been rendered. For example, the ICC has indicted, tried, and convicted Congolese perpetrators of crimes against humanity in the midst of the enduring conflict in the Democratic Republic of Congo. In this way, the ICC acted with a strictly judicial understanding: an individual has committed an indictable crime under the Rome Statute and therefore must be brought to justice. Such a mindset does not take into consideration the large implications of such an indictment on the longer term peace and security of the region. Justice, while an important aspect in post-conflict reconstruction and an essential component of any democratic society, renders hard-line, black and white decisions—either convicting or acquitting an individual; in the midst of a conflict the circumstances surrounding an individual’s actions are hardly ever black and white. There is a lot of grey area that the ICC does not have the mandate to take into account. Justice creates clear winners and losers and, in doing so, can negatively impact the reconciliation and post-conflict reconstruction process. In extreme cases, this creation of winner and losers can prove the grievances upon which future violence is founded. The interest of peace and security is the reason why the AU has called for the postponement of trials against AL-Bashir, not wanting trials Given this, is would an African owned judicial system be more understand of the context in which it operates and make greater strives towards achieving regional peace and security? The creation of the regional criminal court is completely unprecedented under international law and consequently, its interaction with the ICC is uncharted charted territory. For one, there is no hierarchy of treaties under international law; everything is on the same level. Currently, the ICC has agreements with national court, surrendering jurisdiction to the national level if the state is willing and able to carry over prosecution, but it has not such mechanism to deal with the creation of a regional court. Thus, if a state is partied to both the African Criminal Court and the ICC, there is no clear cut why of determining which court will have jurisdiction. This will pose a conflict in terms of jurisdiction among those African countries which have ratified the ICC Charter and which seek to ratify the statute of the African Criminal Court. If the United Nation’s coordination of peacekeeping missions with the African Union serves as precedence than there may be some guidance in the construction of the AU/ICC road-map. More and more, there is a movement towards African led peacekeeping mission that are supported by the UN. The African Union Mission in Somalia (AMISOM) is an example of this. The goal then would be to create a relationship between the African Union and the ICC in which the African Union has primary jurisdiction over cases, but is supported by the ICC and has the discretion to refer cases to the ICC. The exact details of this suggested relationship remain unclear at the present moment. However, in order to avoid future conflict and headaches, the relationship between the ICC and the African Criminal Court should be fleshed out in more detail before the African Criminal Court enters into full force. This past week, with the UN compound bombing in Somalia, the ongoing crisis in Syria, the protests in Turkey, and the outbreak of protest in Brazil, story of the bombing in Arusha received little to no international media attention. When weighed against these other events, the June 15th bombing in Arusha seems like such a small and isolated event. Tanzania is perceived to be one of the more stable countries in the region and the recent events have been deemed by security personnel to be isolated incidents. However, when taking into consideration the political motivation of these crimes as well as the responses of both the authorities and the police, one can’t help but wonder if this situation is a glimpse of a greater problem, one that if not addressed, could threaten the stability of Tanzania’s democracy. On Saturday June 15th, Tanzania’s opposition party, the Party for Democracy and Development (CHADEMA) held a rally at the Saweto district stadium, in the Kalonlei area of Arusha city. The rally was the peak of the campaign for by-elections to fill the vacuum for representatives in six Arusha area districts, notably Kalolei, Themi, Elerai, and Kimandolu, origionally scheduled for Sunday, June 16th. What should have been a peace demonstration—exemplifying democracy, freedom of expression, freedom of association, and free speech—quickly turned chaotic when grenade exploded near the center stage as Freeman Mbowe, the party’s leader, addressed supporters. The bomb killed four people, three of which were children, and resulted in approximately 50 to 70 additional causalities. Although the assailant(s) have not yet been caught and the motive has not formally been determined, it is believed that the attack was politically motivated, the opposition leaders being the intended targets of the blast. Arusha is a CHADEMA stronghold and this attack threatens to exacerbate already uneasy political tensions between CHADEMA and the CCM, the ruling party of the government. CHEDEMA officials have previously expressed complaints regarding government crackdowns against opposition demonstration and public rallies. The National Electoral Commission cancelled the by-election in all six Arusha districts, citing insecurity. The by-elections have been rescheduled for Sunday, June 30th. In response to this event, Tanzania authorities banned all public gatherings and deployed the Tanzania People’s Defense Forces to keep the area clam. Consequently, when a memorial service was held on Tuesday June 18th, to mourn the death bomb’s victims, the service was perceived as a security threat. The police, liable to disperse any unauthorized rallies, fired teargas into the ground, fired several rounds of warning shots into the air, and made several arrests as the attempted to disperse the crowd. Roadblocks were set up, movement around Arusha became increasingly difficult, and security became a pressing concern for Arusha residents. CHADEMA has long complained of unnecessary crackdown by the Tanzanian government, and this is yet another example. Four deputies of CHADEMA and a dozen supporters were arrested on charges of illegal assembly, but were released on bail on Wednesday, June 19th. There have always been tensions between CHADEMA and CCM in northern Tanzania; however, these tensions have recently increased as support for CHADEMA has been rising in the region, making the party a serious contender in the next election. Tensions between the ruling political party and the opposition party are not abnormal in and of themselves. In fact, such rivalry is inherent in the democratic system. In a developing democracy such as Tanzania, the way in which the rivalry is expressed is of the utmost importance as it sets precedence for the handlings of a multiparty democracy in the future. CHADEMA is an opposition party with growing popular support, particularly in northern Tanzania. In a free and fair democracy, if CHADEMA is able to bolster the majority support and win the next election, they should rightfully become the ruling party in Tanzania. 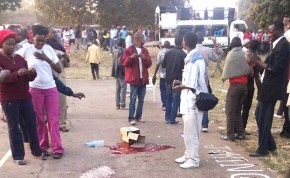 The bombers of the CHADEMA rally remain unknown and until the perpetrators are caught, it is dangerous to make accusations regarding who the bombers were; however, given that the bombing took place at a political rally and is considered to be an isolated incident, the assumption remains that the bombers’ motivations were political. Who they were and what kind of association they have are undetermined. The banning of political rallies by government officials in response to this bombing is concerning. Yes, there is an element of security involved, but there a fine line between national security and the infringement on human rights, which is often blurred. What is more striking was the dismantling of the memorial service. This was not a political rally—although largely CHADEMA supporters were in attendance—it was memorial service for those who had perished in the bombing. Moreover, the police were quick to employ violence and confrontational methods to break up this gathering, rather than first attempting to disperse the group through non-violent means. The overreaction of the police in this instance has the potential to insight further violence as some may feel compelled to respond/reciprocate their treatment by the police. And thus begins a cycle of violence that can quickly spiral out of control. This has not yet been the case in Tanzania, but with the underlying tensions between the political parties and the authorities’ use of violent methods there is festering potential. Tanzania has been a relatively stable democracy since gaining its independence from colonial rule in 1964, especially when one considers the other countries in the region; however, it transformation into a complete and opened democracy is not yet finished. The next step in the process is the acceptance of alternative political groups and the willingness of the present party in power to relinquish power, when and if another party rightfully wins the majority. With growing opposition towards the ruling party, it is essential that they be granted a platform for the expression of their opinions and ideas. If suppressed, as the opposition party continues to grow, this could seek to threaten Tanzania’s democratic stability. Recently, I pulled a childhood book off my shelf – The Giver by Lois Lowry. The book is one of my favorites, and since I hadn’t read it since the seventh grade, I decide to re-read it. In the context of my studies now, the book took on a whole different meaning for me which had me asking: What does post-conflict reconstruction look like? Should democracy always be the goal? Or put more simply, is there such a thing as a utopic society? Imagine this: the multiple competing factions in a civil war have managed to come to a peace agreement, by way of an international intervention, have agreed to participate in national elections to determine the next legitimate government. In preparation for these elections, the former conflict factions each form their own political party. As, resources are scare and corruption is high, the only way to ensure one’s interests is to control the access and distribution of both resources and power. Thus, the elections have become a power struggle between the former competing factions. In support of this claim, Soth Plai Ngram, an expert on peacebuilding in Cambodia wrote in his M.A. Dissertation, “democracy is a competing terrain for political parties to win their power by controlling military forces, money and resources, rather than by winning the hearts of the people by improving their lives” (p.53). Consequently, rather than foster peace, democracy could actually create another means by which these parties continue to fight, pushing the fragile peace off the edge of the knife and sending it back into the chaos of violence. The history of the cold war boiled down to one sentence would go as follows: The world’s two opposing superpowers – Capitalist United States and Communist USSR – contending for international power and influence through the engagement of militarily armament, military engagement, and proxy wars. The United States commenced with a ‘roll-back policy’ – an attempt to rejuvenate democracy in those countries that had become communist, but this policy was soon shifted to one of containment – the prevention of future countries from becoming communism. When one thinks of the Cold War the Korean War, the Vietnam War, and the proxy wars fought in South America, Africa, and the Middle East immediately come to mind. Cambodia is not at the forefront of the discussion, yet it was victim of the geopolitical climate created by the Cold War environment. Cambodia was declaredly neutral during the Cold War. In fact, to was part of the Non-Aligned Movement, a group of states that chose not to align themselves with either the community or capitalist bloc. However, Cambodia became of tremendous interest to both sides of the conflict during the war in Vietnam. Cambodia shares its eastern border with Vietnam, and despite declaring neutrality, it permitted the Viet Cong to use the eastern portions of the country as access routes to the American military forces. 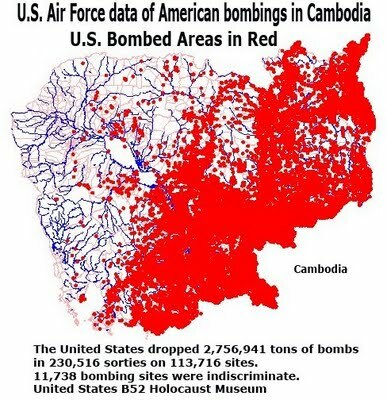 When the US discovered this, they proceed to carpet bomb the eastern region of Cambodia, causing immense destruction. The turmoil and destruction of the US bombings in Cambodia gave rise to civil war from 1970 to 1975, in which the Khmer Rouge was eventually victorious. 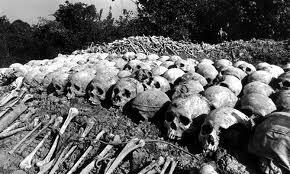 Rumors began to circulate about the atrocities being committed by the Khmer Rouge regime in the late 1970s, so much so that the United Nations Commission on Human Rights launched an investigation into the Pol Pot regime in 1978. The resulting report, the Boudhiba Report, however, was never presented before the United Nations, largely due to the geopolitics surrounding Vietnam’s invasion of Cambodia in 1979. In January 1979, the Vietnamese invaded Cambodia, overthrew Pol Pot’s regime, and established the People’s Republic of Kampuchea. What needs to be noted on this topic, and which is often forgotten in Cold War history, is that in Asia, China and the USSR were positioned against one another – Maoism vs. Leninism. When the Vietnamese invaded Cambodia, they were backed by the USSR. This immediately incited fear into China who opening opposed Vietnam’s presence in Cambodia and called for the immediately withdraw of all Vietnamese troops. The United States, have just established economic relations with China and not wanting to hinder those relations, sided with China against the USSR backed Vietnamese government in Vietnam. At this time, the remaining Khmer Rouge member had fled to the forest and continued to receive support from the United States and China. Their support of rebel groups in Cambodia was so much that the Khmer Rouge remained the official representative of Cambodia at the United Nations until the after the Peace Agreement of 1991, despite the fact that the People’s Republic of Kampuchea was effectively running the country. In the midst of all this politics, the Boudhiba Report was given little attention. In fact, when its presentation was proposed before the United Nations General Assembly in February 1979, the USSR, the entire Soviet Bloc and the Non-Aligned Movement voted against its admission. In the wake to the mass atrocities committed in Cambodia, no western government came to Cambodia’s aid, in spite of international commitments made to end such atrocities. “Never Again” was the slogan for the Nuremberg trial, the justification from bringing the Nazi perpetrators to justice, yet in the Cambodian context this pretense did not exist. Not until much later, almost 30 years later. To make matters worse, because to the geopolitical climate of the region, the United States and Great Britain sought to block NGO attempts to get emergency humanitarian aid into the country. With the developing global conscience, the situation, the exploitation of a country due to geopolitical interest, is simply not acceptable. The Cambodians that died under Pol Pot’s regime were human too and deserve the same rights, protection, and international support as any other person in the world. The movement to end such atrocities requires the active engagement of all countries to create a standard that such crimes are simply unacceptable and will not be tolerated. Geopolitics should never be a consideration when it comes to human rights violations.